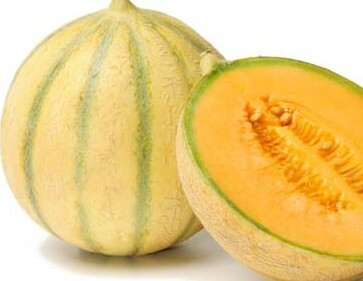 Spain continues to outpace Morocco in number of melon plantings but remains behind France, according to 2014 forecasts announced yesterday (May 14), at Medfel, Perpignan. France will have the largest area (14,060ha) of melon plantings in 2014, followed by Spain with around 2,900ha and Morocco with approximately 1,800ha. There will be an increase in yellow charentais melon plantations in the Murcia region of Spain to between 2,500 and 2,600ha for 2014. The Moroccan regions of Dakhla and Agadir have both reduced planting areas to 300ha and 450ha respectively, while the Marrakech region maintained levels at around 1,000ha. Bernard Borredon, co-president of the International Association of Melons (AIM), said there has been an increase in Spanish plantations over the last three years, whereas surfaces in Morocco have declined. He added that in the past this has been the other way round. In the south east of France, there will be 5,400ha of charentais melons, with all growing formats stable or slightly reduced. The South West also reported a reduction taking surface area to 3,500ha, while the Centre West will have 4,900ha planted and a slight reduction in all growing formats. In 2013, France’s primary export destination for melons was Belgium, followed by Switzerland, Italy, Germany, UK and Spain.